Do you have any regrets with your business? Is there anything you look back on and wonder why you waited so long to do it? I waited WAY too long to take the time to figure either one of them out. I didn’t even have an email management service when I started blogging, nor did I start my Pinterest account until years after I created my website. Even after I created my Pinterest account, I still did not use it as a tool to help me grow my audience, or make money for my business, for a really LONG time. Although I wish I didn’t wait as long as I did, I quickly saw a huge increase in my traffic as soon as I started to focus on Pinterest. It literally was a game-changer. Using Pinterest made my website go from hobby blog to professional business. That is why I am constantly sharing with you how you can use Pinterest to not only grow your blog, but to also earn passive income. I created an entire course called Pinaffiliate Masterclass that teaches my exact strategies. Yes, you read that correct - 100 million! Not to mention that users on Pinterest are more likely to make a purchase than people referred from other social media sites. 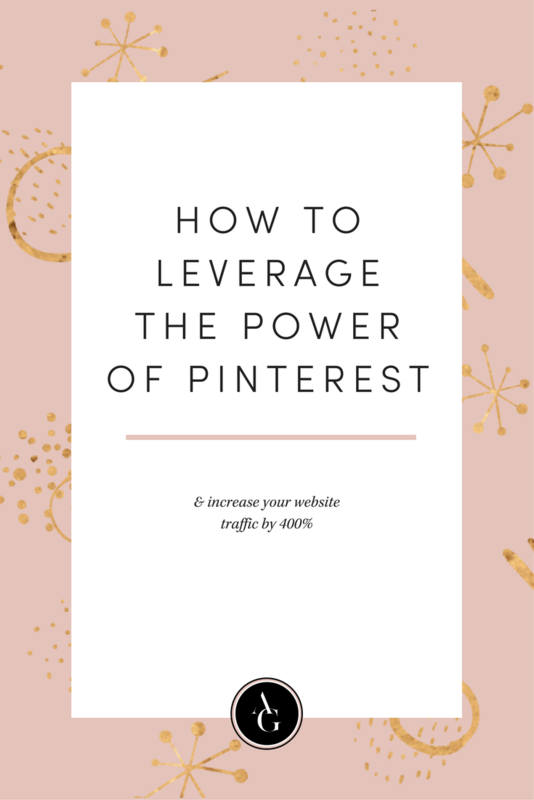 You NEED to be leveraging the power of Pinterest to grow your business. Even if you are just starting your Pinterest account, it can still be a game changer. Adriana started her Pinterest account on May 9th. She was a complete newbie to this platform. In about 10 weeks she was able to gain more than 1,000 new followers and increase her traffic from using Pinterest. Pinterest is now her #1 source of traffic. You can checkout her Pinterest account here. Right now she has more than 3500 followers. By harnessing the power of Pinterest she was able to quickly grow her audience and drive more people to her website. In just a few short months, she has seen rapid growth from using Pinterest as a tool to help her blog succeed. Julie saw a HUGE increase in the amount of traffic coming from Pinterest to her website. “I had been stuck at about 2K page views per month, which isn't much at all. I started the course in May and by the end of July, my page views increased 400%!" I continue to slowly but steadily grow and hope to catch up to the big bloggers soon. Wow! In 2 months Julie saw a 400% increase! That is insane. It is wonderful to hear that she has been steadily growing since then and has even seen an increase in her followers. Both of these amazing women had epic results when they started intentionally using Pinterest. Have you heard of the term ‘the power of Pinterest?’ Well, these 2 results right here show you the POWER OF PINTEREST. Look how much it has already transformed their businesses in such a short amount of time. Seeing these results is one of the reasons why I have the regret of not strategically using Pinterest sooner. Don’t wait as long as I did. If you need some help understanding how you can leverage the power of Pinterest, then check out this post “How to Grow Your Business with Pinterest”, and download my Ultimate Pinterest checklist. Take a minute to write a comment below and let us know the success you’ve seen using Pinterest.